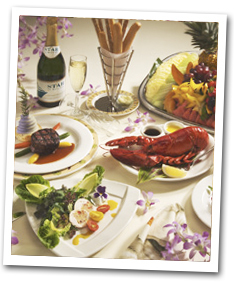 5-course whole Maine lobster and tenderloin steak dinner plus show! The deluxe way to cruise in style aboard the STAR! 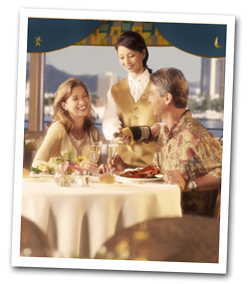 A "champagne" toast starts your riveting Three Star Sunset Dinner & Show Cruise, followed by a sumptuous 5-Course whole Maine lobster and tenderloin steak dinner and premium beverages. Enjoy unparalleled vistas of Waikiki and beyond Diamond Head from our four decks including the 60’ high observation deck, as well as continuous live entertainment, like no other, from welcome hula to live Jazz and our feature show, the magical "My Hawaii – Beyond the Reef®," and dancing! Our feature show is the magical "My Hawaii – Beyond the Reef®," choreographed by Kumu Hula Al Makahinu Barcarse, with the largest cast on island waters and brand new costumes professionally designed by Kathe James. 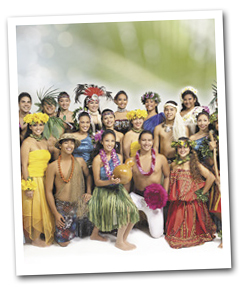 Celebrating Hawaii's beauty and culture, this original show is a "must see" on Oahu! Plus, a variety of live entertainment, like no other, starting with the pier-side welcome hula. During dinner, enjoy live Hawaiian and Jazz music as we cruise along the Waikiki coastline. Fun audience participation and dancing commences until disembarkation. Open observation & sun deck 60 feet above the ocean provides panoramic vistas and comes complete with lounge chairs and binoculars. On Fridays, we stay out an extra hour to view the Friday aerial fireworks show. $10 additional charge. Please select Friday Fireworks Cruise when booking. Welcome "Champagne" Toast and Two Premium Beverages are included. Additional beverages and special selection of vintage wine and champagne by the bottle available for purchase. Celebration Plan - Window seating (up to 8 persons), private table and photo (per 2 persons); minimum of 2 persons. $35.00 per person. Reception Plan - For special occasions enjoy window seating at a private table (up to 8 persons), a photo for each person, a bottle of "champagne" (per 2 persons) and a Lei Cake by adding "Reception Plan" for just $50.00 per person. Minimum of 2 persons required to book. $50.00 per person. White Wine - Mer Soleil Chardonnay, $75.00 per bottle. Hints of matchstick, pineapple and coconut layered with vanilla. Red Wine - Robert Mondavi Private Selection Cabernet Sauvignon, $75.00 per bottle. Champagne - Dom Perignon, $275.00 per bottle. Simply the finest! Cruise Time: Departs from Aloha Tower Marketplace, Pier 8 at 5:30 PM - 7:30 PM. Friday Fireworks & Sunset Cruise 5:30 PM - 8:30 PM. Location: Departs from Aloha Tower Marketplace, Pier 8. Please check in by 4:45 PM at Reservations Office, next to the Star of Honolulu. Dress Code: Three Star, Star, Pacific Star, we recommend resort casual. Short pants are not recommended. On cooler nights, a light jacket is recommended. Vessel: Star of Honolulu Hawaii's largest award-winning premier cruise ship equipped with watts-type stabilizers, 1,500-passenger tour vessel with 3 types of stabilizers for smooth sailing in Hawaiian waters. Hawaii's only A.D.A. compliant ship with 2 elevators plus 4 spacious decks for the best views and most choices to suit your needs. Other features include 6 beautiful dining rooms and private lounges, sound systems, bars and restrooms on all decks and a 60’ high observation sun deck. Departs from Aloha Tower Marketplace, Pier 8. Transportation Add transportation to your cruise. 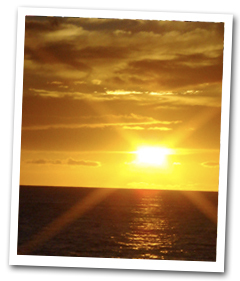 Motorcoach, Air-conditioned, Round-trip from Waikiki: $14.00 per person and from Kahala or Ko Olina area at $33.00 per person. Available upon request with 48 hours advance notice. Please call 808-721-1552 to request. Cruise Route: The Star of Honolulu is stabilized and certificated to go beyond Diamond Head to view the beautiful Kahala Gold Coast. The Captain reserves the right to alter the route depending on sea conditions. Aloha Friday Fireworks: Celebrate Aloha Fridays with Sunset and Fireworks aboard Star of Honolulu! Enjoy an extended cruise for an additional $10.00 every Friday to enjoy fireworks. Fireworks display is subject to availability as we do not operate or control it.